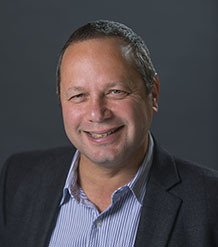 Prior to joining University of Exeter Business School Gilad served on the accounting faculty of the London Business School and Cass Business School. He received his MSc and PhD in accounting at the University of California at Berkeley in 1996. Gilad is a CPA (Certified Public Accountant, Israel) and worked several years as a senior auditor in Israel, after completing his BA in accounting and economics at Tel Aviv University. Gilad's teaching involves financial statement analysis, international accounting as well as introductory and advanced financial accounting courses. Gilad has taught on Undergraduate, MBA, Executive MBA, Sloan and MSc programmes. In addition to teaching at Cass and LBS, Gilad has also taught at Lancaster University, HEC Paris, New Economic School (Moscow), Oulu University and on various company-specific programmes. Gilad has also conducted consulting activities on corporate disclosure issues. Current research looks into auditor independence, international accounting, fair value accounting, and compensation. His research has been published in Review of Accounting Studies, Journal of Banking and Finance, Journal of Corporate Finance, Journal of Business Finance and Accounting and European Accounting Review. Gilad has widely presented his research in conferences and universities in Asia, Australia, Europe and the United States. Auditor Independence: Auditors work on behalf of shareholders but are paid by management. This gives rise to potential economic independence problem. One solution adopted by some countries to the independence problem is by requiring regular rotation of the auditor. I am interested to find out whether mandatory auditor rotations are related to improved reporting quality, as would be expected if independence is enhanced. I am interested in the effects of the Sarbanes-Oxley Act of 2002 on auditors’ behaviour and whether it reduced the problem of economic independence. In my research I also investigate whether auditor economic independence is related to cost of capital of audited firms. International Accounting: Since 2005 firms listed on an EU stock exchange have to report under IFRS. The US now permits foreign firms to report under IFRS without reconciliations, allowing a broader range of IFRS-reporting countries to list anywhere in the world. I am interested in understanding the reporting choices foreign registrants in the US make and whether the commitment to abide by US law and the threat of US enforcement shape earnings management in foreign IPOs. Managerial Compensation: Reporting choices are shaped by incentives, such those that stem from compensation contracts. While this furnishes many opportunities for research, I am particularly interested in the effects of fair value accounting on managerial compensation. In carrying out this research I note that compensation provides incentives for managers to take certain actions that affect the performance and risk profile of their firms. The concern is that fair value accounting provides perverse incentive for managers to manipulate earnings upwards while assuming more risky projects. This is because fair value accounting is based on estimates of outcomes of transactions that may be resolved after managers are paid (creating the clawback problem). Livne G, Amir E, Guan Y (2018). Abnormal Fees and Timely Loss Recognition - a Long-Term Perspective. Auditing: a Journal of Practice and Theory, 1-44. We examine the relation between timely loss recognition and abnormal audit, non-audit, and total fees over a long period (2001–2007 and 2010–2015). We use positive abnormal audit fees as a measure of abnormal audit effort, and positive abnormal non-audit fees as a measure of economic bond between the auditor and the auditee. Using the Ball and Shivakumar (2006) model, we report some evidence suggesting audit effort is associated with slower loss recognition in accruals before the Sarbanes–Oxley Act (SOX) became effective. However, we find stronger evidence that audit effort is associated with slower loss recognition post-SOX when clients raise substantial external funds or when the auditor is not an industry specialist. Using C_Score, we find a negative association between changes in abnormal audit fees and total fees, and changes in C_Score post-SOX, but not pre-SOX. We find no sample-wide evidence that abnormal non-audit fees are associated with the speed of loss recognition. Collectively, the results suggest post-SOX auditors exert more effort when losses are delayed and that non-audit services do not compromise auditor independence. Livne GILAD, Markarian G (2018). Fair value accounting and executive compensation. In Livne GILAD, Markarian G (Eds.) The Routledge Companion to Fair Value in Accounting, Routledge. Livne G, Markarian G (2018). The Routledge Companion to Fair Value in Accounting. Picker R, Clark K, Dunn J, Kolitz D, Livne G, Loftus J, van der Tas L (2016). Applying International Financial Reporting Standards., John Wiley & Sons. Livne G, Markarian G, Mironov M (2013). Investment horizon, risk, and compensation in the banking industry. Journal of Banking and Finance, 37(9), 3669-3680. This paper examines the relation between the investment horizon of banks and their CEO compensation, and its consequences for risk and performance. We find that banks with short-term investment intensity pay more cash bonus, exhibit higher risk and perform more poorly than banks with longer-term investment intensity. This evidence is broadly consistent with the view that short-term means of compensation encouraged a short-term investment focus, which in turn led to both higher risk and resulted in poorer performance, culminating in the sub-prime crisis. The inverse risk-performance relation suggests pay schemes were incongruent with shareholders' interest. Moreover, pay arrangements used in banks prior to the subprime crisis exposed banks to the ex-post settling up problem (the clawback problem). © 2013 Elsevier B.V.
Livne G, Markarian G, Milne A (2011). Bankers' compensation and fair value accounting. Journal of Corporate Finance, 17(4), 1096-1115. This paper examines the role of certain fair value accounting (FVA) outcomes in compensation of US bank CEOs. The use of FVA in compensation invites an agency cost-the clawback problem-if cash compensation is based on unrealized profits that may reverse in the future. At the same time FVA may be a good measure of current managerial effort and so be cash compensated. We find evidence consistent with a positive link between CEO cash bonus and fair value (FV) valuation of trading assets, managed for short-term profit, as well as (amongst banks with limited trading exposure) a positive link between CEO pay and FV valuations of available for sale (AFS) assets. We find no evidence that trading income is incrementally compensation relevant, indicating that compensation committees avoided the clawback problem for unrealized trading gains. The paper also provides evidence on the link between FVA outcomes and equity-based pay. © 2011. Livne G (2016). International Financial Reporting Standards., Wiley. Livne G, Jarva H, Kallunki J-P (In Press). Earnings Performance Measures and CEO Turnover: Street versus GAAP Earnings. Journal of Corporate Finance Full text. DOI. Livne G, Simpson A, Talmor E (2011). Do Customer Acquisition Cost, Retention and Usage Matter to Firm Performance and Valuation?. Journal of Business Finance and Accounting, 38(3-4), 334-363. We examine the valuation role of customer acquisition cost, retention and usage in the wireless industry during the period 1997-2004. We develop and test a model that links customer acquisition cost, customer retention and call usage to future financial performance and valuation. In doing so, we control for the role of traditional accounting measures as predictors of firm performance. Although the wireless industry maintains a rapid pace of technological and commercial changes, fundamental accounting numbers are found to be value relevant. We provide new evidence that customer acquisition cost is likely a firm value driver. Specifically, we show that this cost is positively associated with customer retention, future profits and current market values. However, customer acquisition cost is not associated with future revenues, suggesting that successful investment in customer acquisition is capable of saving future expenses and hence of improving profitability. There does not seem to be a direct association between customer retention and usage. Nevertheless, we document a positive relation between retention and future revenues, as well as a positive association between usage and future profits. Collectively, these results suggest that retention and usage play an important mediating role linking customer acquisition with benefit generation. Consistent with this, we find some evidence that customer retention and usage enhance market values. © 2011 Blackwell Publishing Ltd.
Amir E, Guan Y, Livne G (2010). Auditor independence and the cost of capital before and after Sarbanes-Oxley: the case of newly issued public debt. European Accounting Review, 19(4), 633-664. An important aim of the Sarbanes-Oxley Act (SOX) was to reduce the cost of capital by enhancing auditor independence. However, prior literature has argued that SOX has been ineffective in meeting this objective. We contribute to this debate by first providing evidence suggesting that auditor independence has increased following SOX. Though we posit an inverse relationship between auditor independence and cost of capital, it is an open question whether this relationship has become stronger or weaker following SOX. An examination of this relationship reveals that auditor independence is more strongly related to bond rating and bond yield premium in the post-SOX period relative to the period before SOX. This evidence suggests greater price sensitivity of corporate debt to the level of auditor independence following SOX. We also show that controlling for the effect of auditor independence and other factors, cost of debt decreased following SOX. © 2010 European Accounting Association. Livne G, McNichols M (2009). An empirical investigation of the true and fair override in the United Kingdom. Journal of Business Finance and Accounting, 36(1-2), 1-30. The True and Fair View concept requires companies to depart from GAAP or the law if necessary to present a true and fair view of the corporation's financial affairs. We analyze UK public companies invoking a true and fair override to assess whether overrides are associated with weakened performance, earnings quality and informativeness. We find quantified overrides increase income and equity significantly, and firms that invoke more costly overrides report weaker performance. We also find that firms invoking the most costly overrides have less informative financial statements than control firms, and lower earnings quality. In contrast, firms invoking less costly overrides do not exhibit weaker performance, less informative financial statements or weaker earnings quality. These findings are relevant for the debate on principle- vs. rules-based accounting. © 2008 Blackwell Publishing Ltd.
Livne G (2007). Discussion of divergence of opinion and post acquisition performance. Journal of Business Finance and Accounting, 34(3-4), 461-466. DOI. Amir E, Guan Y, Livne G (2007). The association of R&amp;D and capital expenditures with subsequent earnings variability. Journal of Business Finance and Accounting, 34(1-2), 222-246. We estimate the association of investments in R&D and in physical assets (CAPEX) with subsequent earnings variability. We estimate these relations in different time periods and across industries. We find that R&D contributes to subsequent earnings variability more than CAPEX only in relative R&D-intensive industries - industries in which R&D is relatively more intensive than physical capital. In physical assets-intensive industries, we do not find similar relations. The findings suggest that with respect to subsequent earnings variability, fundamental differences between investment information about R&D and CAPEX exist. However, they are mainly noticeable in firms that operate in relatively R&D-intensive industries. The evidence also suggests there was a shift in the relations between R&D and CAPEX over time. Our findings contribute to the debate on accounting for R&D expenditures. © 2007 the Authors Journal compilation © 2007 Blackwell Publishing Ltd.
Amir E, Livne G (2005). Accounting, valuation and duration of football player contracts. Journal of Business Finance and Accounting, 32(3-4), 549-586. FRS 10 requires investments in player contracts by football companies to be capitalized and amortized. Given the high degree of uncertainty associated with such contracts, it. is not clear that this treatment is consistent with asset capitalization criteria. The evidence provided in this paper does not support inconclusively this capitalization requirement in that it indicates weak association of investment in player contracts with three measures of future benefits. In particular, the duration of this association is at most two years, which is shorter than the duration implied by the amortization period reported by sample companies. Nonetheless, other findings suggest that market participants seem to agree with the treatment prescribed by FRS 10. These results should be of interest to practitioner and standard setters who (axiomatically) regard intangibles acquired in an arm's length transaction as assets. Blackwell Publishing Ltd. 2005. Livne G (2000). Information asymmetry, investment horizons, and the dual role of public announcements. Review of Accounting Studies, 5(2), 127-153. This paper investigates inter-temporal relations in market liquidity and price efficiency in a setting that is more descriptive of trading patterns around public announcements than those typically analyzed in the existing literature. The model incorporates both strategic investors who behave as short-term, profit-taking traders, and traders who invest in the security over a long-term horizon. It is shown that an anticipated increase in market liquidity in the announcement period will lead short-term investors to trade more aggressively in the preannouncement period. This results in improved price efficiency and, in some cases, increased market liquidity in the pre-announcement period. However, a higher propensity to behave as a profit-taker in the announcement period leads to less efficient prices in the pre-announcement period. © 2000 Kluwer Academic Publishers. Livne G (2014). Accounting for human capital. In Clubb C, Imam S (Eds.) Wiley Encyclopedia of Management, Wiley, 9-12. Livne G (2012). Threats to Auditor Independence and Possible Remedies. In (Ed) Effective Auditing for Corporates,, http://www.financepractitioner.com/auditing-best-practice/threats-to-auditor-independence-and-possible-remedies?page=1: Bloomsbury Publishing, 41-56. Livne G, Milne A, Davies B (2010). The Accounting Statements of Global Financial Institutions and the Recent Crisis. ACCA, http://www.accaglobal.com/content/dam/acca/global/PDF-technical/corporate-governance/tech-afb-asg2.pdf. Livne G, Rozvany G (In Press). The big debate on audit. Opinion piece on the future of the audit market published by the Institute of Chartered Accountants in England and Wales. Livne G (2016). Are auditors independent of their clients? a review of past research and discussion of research opportunities in Europe. A review of auditing research and discussion of main research questions. In addition, the presentation highlights opportunities for further research.